You would never have guessed it but once Angel Mutoni wasn’t as confident as she now seems. ‘I was once a very shy girl. I looked down on myself a lot,’ she admits. But as she had got more successful, this has changed. And today, she wants to share her newly found confidence and positive energy with other women, young girls in Rwanda in particular. 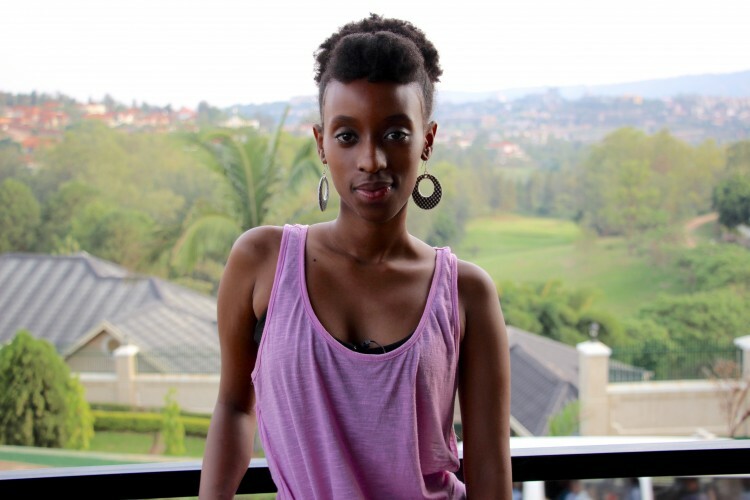 Angel Mutoni is a young and talented Rwandan female rapper who aims to show women, especially young girls, that nothing is impossible. She has been into music since she was young, but 2011 was a turning point for her. That’s when she started her music career mixing different genres including hip hop, R’n’B and soul. Take care of yourself, before you lead them to the sun. People often wonder about her career choice. Making it in a male-dominated industry can be tough and frustrating. There are not many female rappers in the world, let alone in Rwanda. But this does not prevent her from pursuing her passion. Since many Rwandans still believe that music is something you do because you have nothing else to do, Angel wants to prove them wrong. Angel has released a free mixtape online a couple of months ago and is now working on a new video. Make sure to watch out for her.